Halton & St Helens VCA are planning a workshop event on Wednesday 12th March (start times to be confirmed) and we’d be thrilled if you wanted to join us on site. 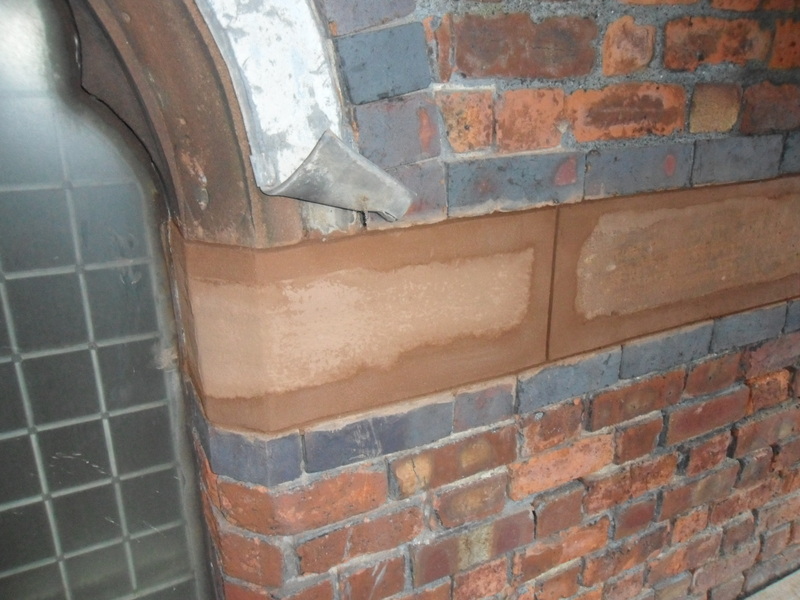 Lime Mortar: Enjoy a small demonstration into the selection process we use for trying to find a suitable colour and texture matched mortar for all repointing and repair works. We can then provide small demonstrations in carrying out re-pointing work and lime mortar repairs. Stone Replacement: You’ll be able to witness a small demonstration into existing defective stonework, survey & production drawings, careful removal and fixing of new stonework. Cleaning of Marble Altar: A demonstration of this sympathetic clean will be given. Window Repairs: We will have our experts on site to discuss all the works that they have carried out on this project. I appreciate that you probably won’t be able to confirm to attending the workshop until you know what time it’s due to start, but if you like the idea and are interested in attending, please reply to this e-mail and let me know. Places are limited and will be distributed on a first come, first served basis. We are hoping to have other workshop events and I will of course e-mail you about these as soon as I have more details. 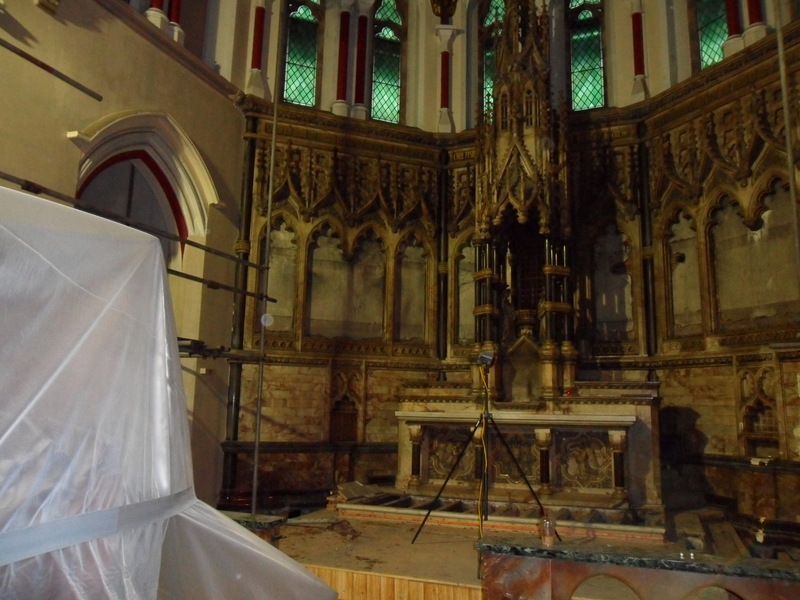 Many thanks to Dave Clark from John Turner Construction Ltd for the following photographs, taken this week inside (& outside) St Marie’s Church on Lugsdale Road in Widnes. New electrical and mechanical services are being installed for lighting, heating and power. 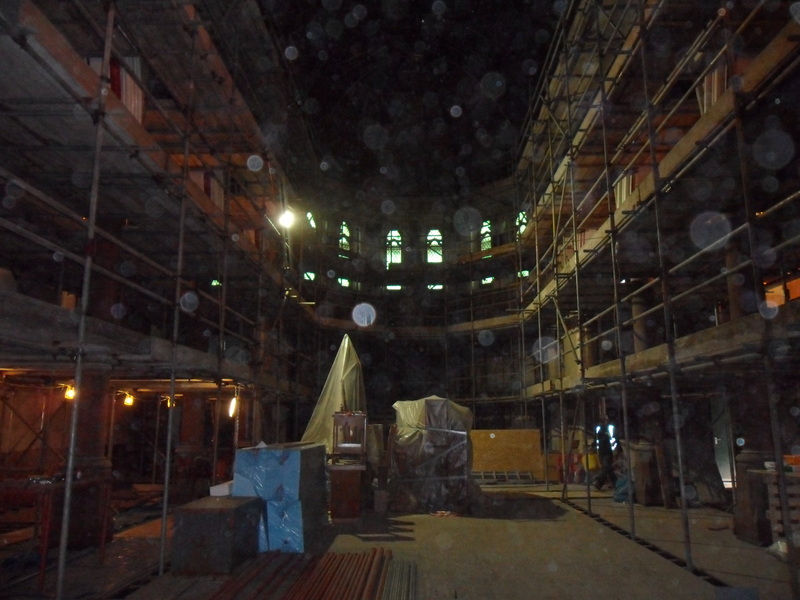 Our weekly dose of the best arty/action shots captured by Project Manager, Dave Clark from John Turner Construction Ltd.
Not orbs or spirits, but dust particles give the inside of the church a dramatic look. The roof at the altar end of the church. 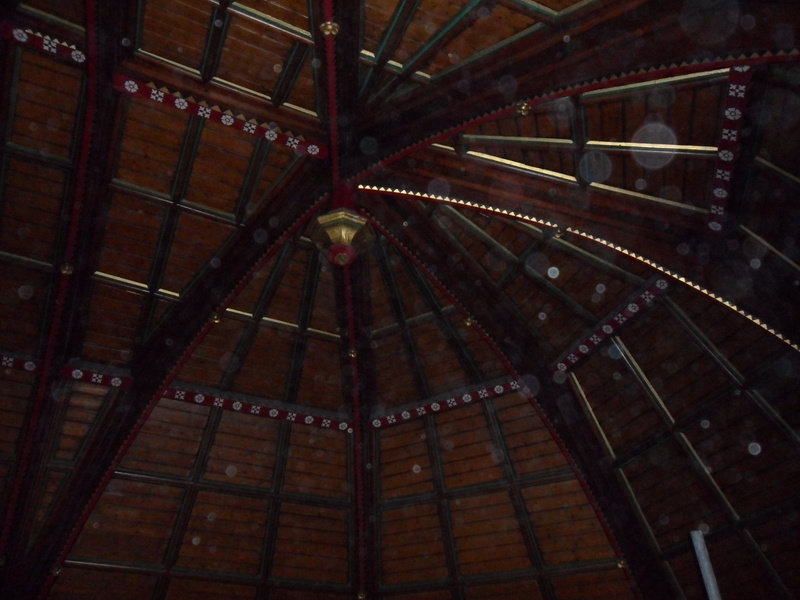 Note the hand painted features within the timber structure of the roof. And dust. More photos from St Marie’s Church. Taken on Tuesday 11th February by Dave Clark from John Turner Construction Ltd. 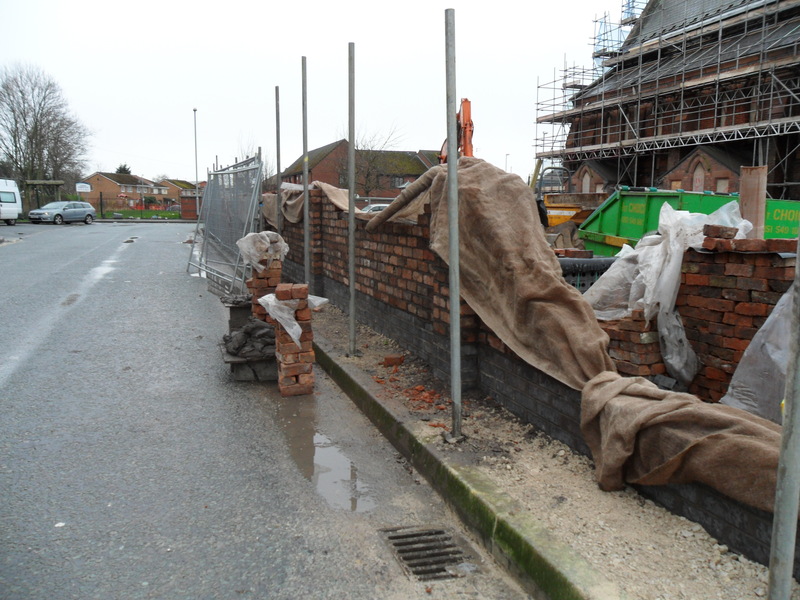 The car park wall is starting to take shape. Reclaimed clay bricks were used to remain in keeping with the appearance of the church. 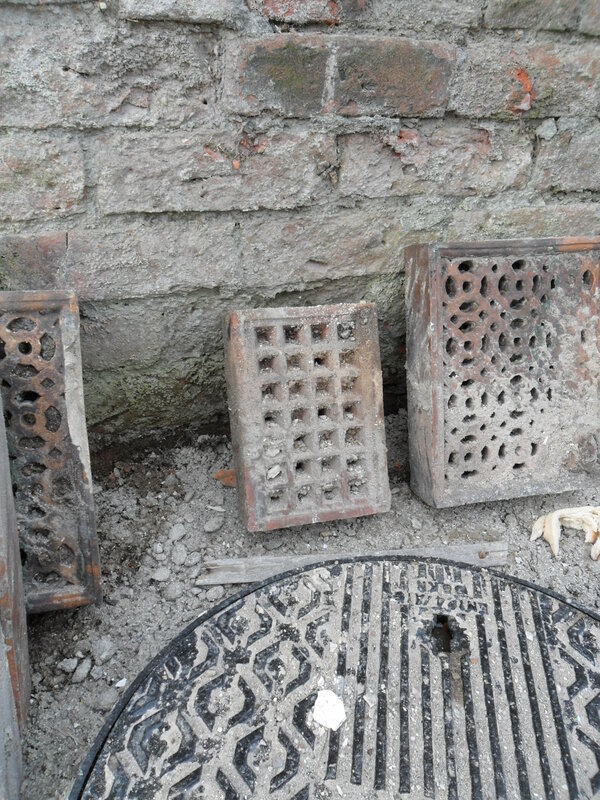 Arty shot of existing air bricks. The one in the middle is new. Here we are again with a few more of Dave Clark’s superb photographs as we chart the progress of our St Marie’s Church Redevelopment Project. Dave is the Project Manager for this work and is employed by John Turner Construction Ltd. We (Halton & St Helens VCA) are very grateful to Dave for his continued support. 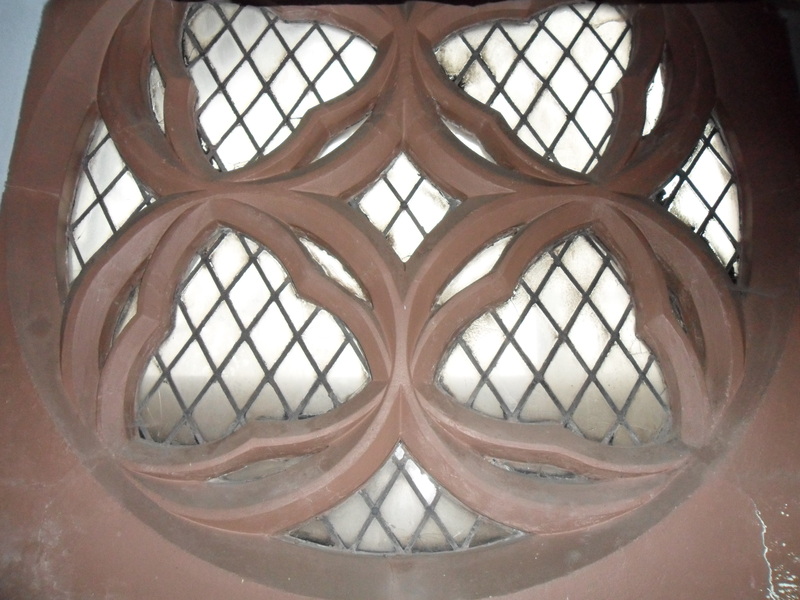 This is one of the windows which is still in it’s original condition. From inside it looks like new, from outside, not so good. The top floor of the scaffolding. 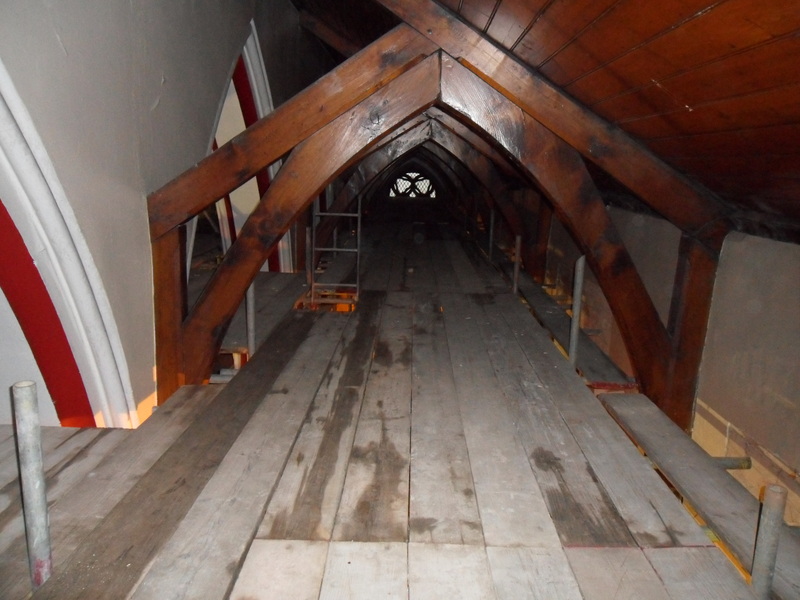 You can see the underside of the lower level church roof. 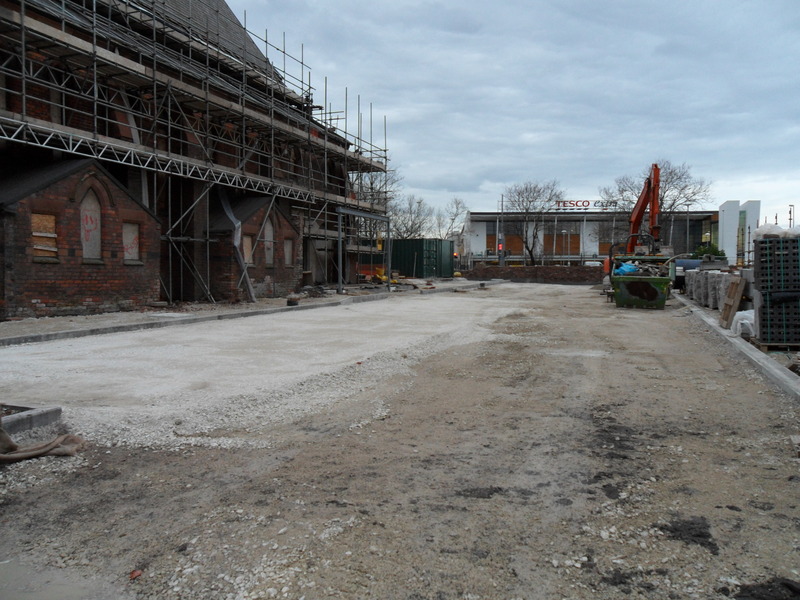 Here are some photographs (taken this week) to show the ongoing redevelopment of St Marie’s Church. 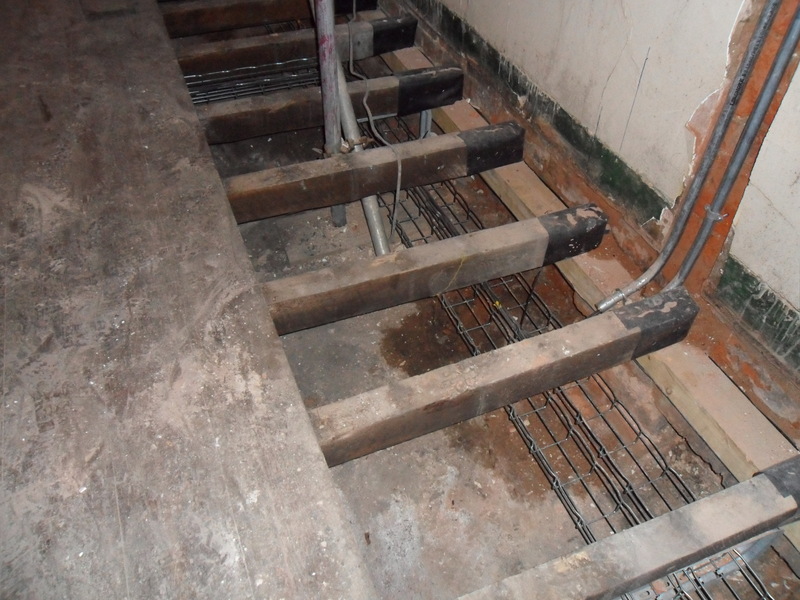 Thanks to Dave Clark (from John Turner Construction Ltd) for sharing the photos with us. If you have any questions about the project, please contact Matthew Roberts via mroberts@haltonsthelensvca.org.uk or (01928) 593 118. Stone repair work to the horizontal sailing course. The paintings have been removed from the altar and are now in Silvano’s restoration workshop.